Even the best leaders know that they have to follow someone else. Whether that’s the company CEO, shareholders, the church board of directors, or some other person in leadership, we ALL answer to other leaders. That’s why I love looking at the leaders I enjoy reading and following. Being able to reflect on the reasons I admire these leaders opens my eyes to the qualities of great leadership. When you find a leader worth following, I suggest you latch onto that person. Their leadership qualities can begin to rub off on you. Examine their lives. See what makes them special. Then emulate those qualities that make them worth following. Today, I want to look at the lives of a couple of leaders I believe are worth following. Knowledge sharing: When I think of great leaders who are willing to share what they know with up and coming leaders, two names pop into my mind. Those two leaders are Dan Miller and Michael Hyatt. 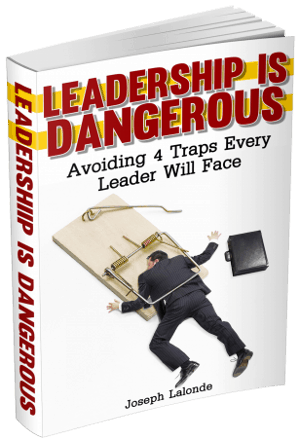 For years, they’ve been producing killer content on leadership and business. Giving away most of their content for free. They share from their years of leadership experience. I’ve learned how to become a better leader because of these men. Patience: A lot can go wrong as you’re guiding and leading others. Having patience is a quality every leader should have. One man has exemplified this quality more than any other. His name is John Davidson. He’s the man who’s taught me how to ice climb. Year after year, he is out leading ice climbing trips in Munising, Michigan. He takes on new climbers every year. This means he has to train new ice climbers on the basics and remind seasoned ice climbers how to be safe. His patience in training ice climbers is extraordinary. Patience is also a quality of a great leader. By being patient, he’s able to help those who are struggling overcome their fears. Whether that’s of heights (like me) or the fear of falling off of the ice or some other struggle, he helps everyone get to the top of a climb. Wisdom: While guys like Michael Hyatt and Dan Miller share their knowledge, there’s also the fact that they have wisdom in what they’re doing. They’re not the only ones in my life that have wisdom that I’ve gleaned from. I’ve picked the mind of Cliff Ravenscraft about podcasting. Brian Dodd imparted wisdom to me when I was feeling down and out about my blog traffic numbers. My former youth pastor, Rick South, guided me for years with his wisdom on life and relationships. Without wisdom, there’s not much reason to follow a leader. If they’re don’t know what they’re talking about, can you really follow them? Servanthood: Jesus Christ was the ultimate servant leader. He came to guide and save the lost. And He did all of this while reaching out to those around him. In current day, I think of my friend Nick Page. For over a decade, he helped us at HYM by serving primarily behind the scenes. He ran sound. He set up chairs. He drove the bus. He didn’t spend a lot of time in front of the youth group. He spent most of his time in the back, serving and giving of himself. Great leaders know they must serve others. By giving of yourself, you grow other leaders. These are but a few traits of leadership that I admire. There are many more. Now, I want to hear from you. Can you add to my list? 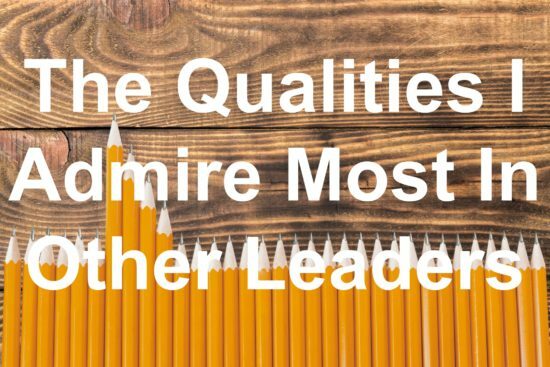 Share the qualities of a leader that you admire in the comment section below.